Rental Pokémon for all cups are significantly improved. Some are exclusive to certain cups, in order to allow move variety. You can register all 151 Pokémon in the Hall of Fame, though you'll need to reach round 2 in order to register one more rental Pokémon to the hall of fame. It is possible to beat the game without the Transfer pack. This is a passion project that I always wanted to do someday. I spent a good 3 months editing and playtesting the hack. You'll need winzip to extract the BPS file. You'll need the BPS patcher, or FloatingIPS, and a base rom to patch it to. Project64 helpers - Anyone who helps out with getting the game to run on Project64 emulator. Sounds amazing. Can't wait to play it. 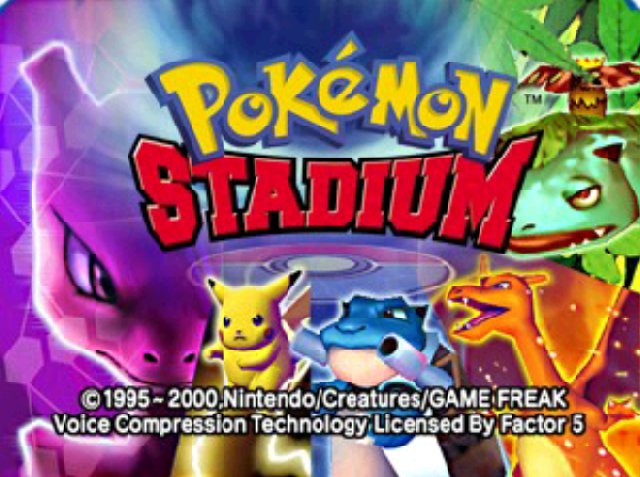 Which version of Stadium did you use as the base though? I can't really test it without knowing. I'm pretty sure I know what's the issue with PJ64. but without testing, I can't be sure. Might be the same issue I had when hacking Stadium 2. 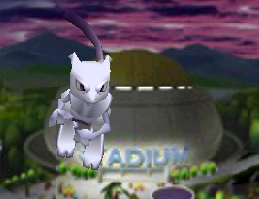 Speaking of which, do you know if the Stadium Editor you used works on Stadium 2? It might speed up the Rental Mon editing I need to do. Hacking Stadium 2. Could really use some help though. Join the Discord! 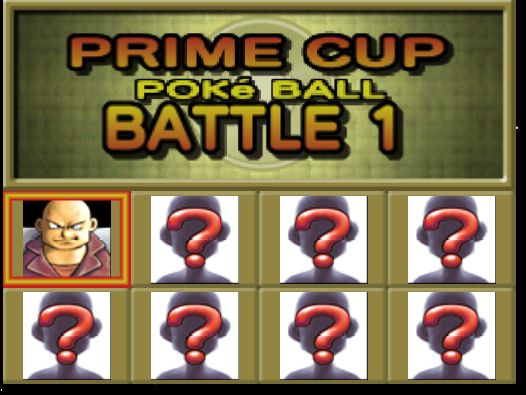 Before I even think of doing Stadium 2 hack, I would need a very good Challenge Cup Editor. For both enemy and player. Ultra Ball is has the worst selection in terms of balance. Misdreavus, Skarmory, Quagsire, Lanturn, to pupitar, quilava, sneasel, and PONYTA. This is essential to modify for rebalancing, and it needs to be flexible, and not change crc. Example is putting PONYTA in Great Ball, and putting Lanturn in MASTER ball. 2. CHANGE RATE/FREQUENCY OF TYPES OF PLAYER POKÉMON. This is to keep teams valences in respect to not getting Pokémon clearly better than others too often. 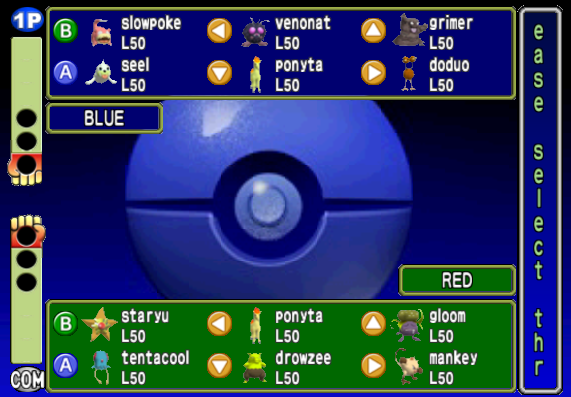 In the original, Master Ball was made easier, because I reset twice to get Snorlax (best Pokémon in the game), and it paired with Alakazam, Vaporeon, And Rhydon. Clearly overpowered. I know this is possible, because specific Pokémon always got specific moves. Nidoking always got earthquake, Heracross always got megahorn, all Pokémon do NOT get rest. I would like to universally apply this to all Pokémon, specific movesets. This is to make more balanced teams, and the second half increasing in difficulty. I know certain enemies have specific movesets. Guitarist with thunder wave, Swimmer with attract, officer with sunny day, Fisherman Rain Dance, Excecutive Toxic And Protect, Scientist Double Team. For good hidden power on the players and enemies. Some Pokémon need good Stab, and only hidden power can provide. This might be VERY difficult, but it would be pretty essential. If possible for both player and AI. Low priority. I would really need to see where ivs are placed for those hidden powers. Is it ASM, are the ivs in a randomized range? I know hex can easily edit rosters OUTSIDE Challenge cup, but would ASM be able to find something there? 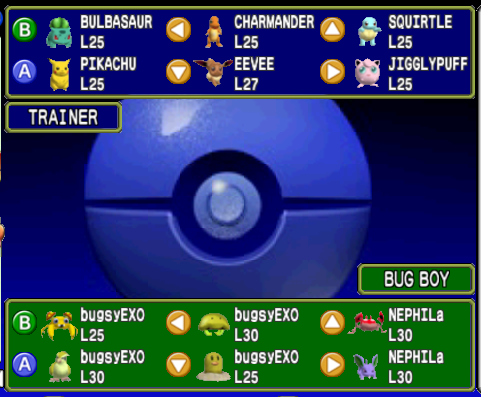 Based on the rom map and dump files, changing teams is simple BUT. Changing moves of challenge cup rosters and rentals. I know it is possible. Fisherman’s Quagsire. Earthquake Nidoking. Megahorn Heracross. The Pokémon patterns. There must be some kind of data related to the above that I am looking for, hidden very deep. If I were to use python, how can I find it? Closest clue found was finding rosters nicknames in dump files. Can anyone point me in the right direction? How does disassembly work? What would I need? 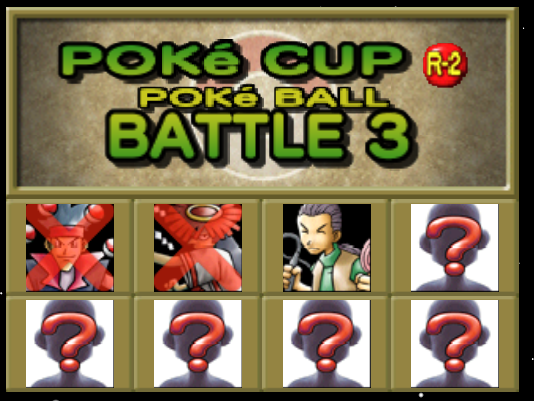 I would like to dissassemble challenge cup in Pokémon Stadium 2. I can't really help you with a disassembly, but I'm pretty sure that we can find the challenge cup rosters with a hex editor. I'm sure there's a pool of pokémons that the player can randomly draw pokémons from in CC, I managed to get Twister Gyarados quite a few times when I was testing things on my hack. Perhaps we could work together on this one? We could, although my visits will be very infrequent due to IRL.